We promise we gave John and Sophie a little time to catch their breath when the got back from the world’s leading interior design show last month, but we were all dying to find out the latest industry design trends on their return from Maison et Objet in Paris! As a little taster we’ve shown here one of a collection of moodboads put together by Sophie to show the team what’s hot out there. Fear not though, all will be revealed soon as John’s been talking about the latest interiors trends in the March issue of the Bath Magazine. 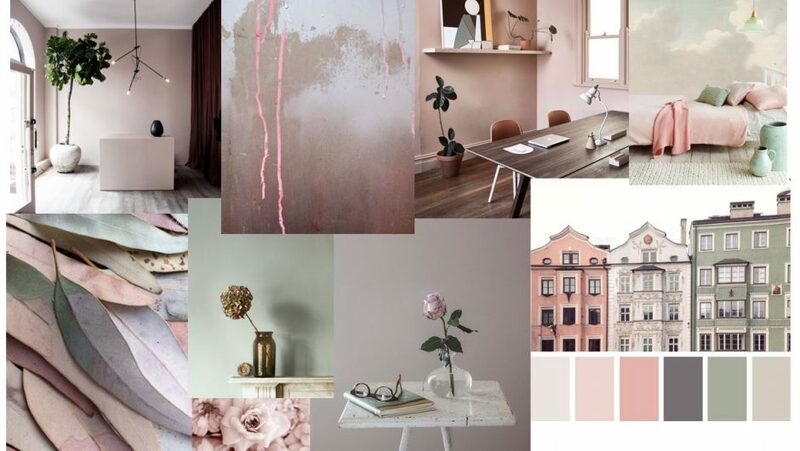 From the striking Mind the Gap wallpapers making a bold botanical statement to the pastel pinks and warm plaster colours being hailed as the news neutrals, you’ll find plenty of inspiration on 2018’s trends to look out for.